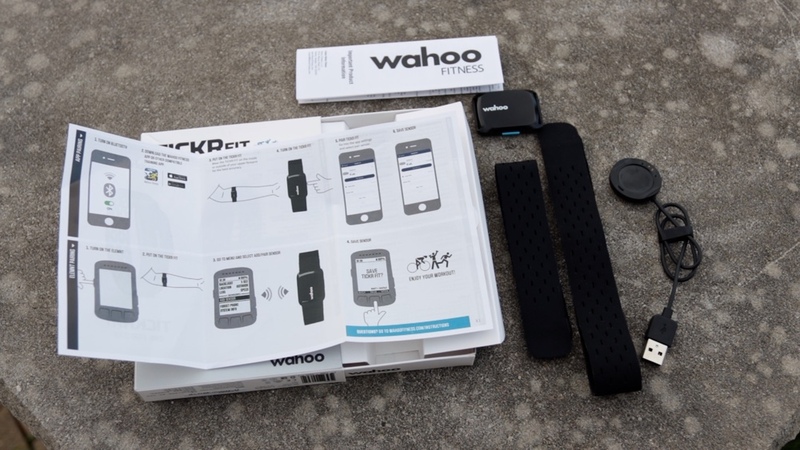 Earlier this year, Wahoo Fitness introduced the Wahoo TICKR Fit, an armband optical heart rate monitor. The TICKR Fit is designed to be worn on your upper forearm and is ANT+ and Bluetooth compatible. I purchased a unit and I have been using it for the past few months. I’ve put it through indoor rides, treadmill runs, outdoor riding and running as well. Heart rate chest straps have been the gold standard for accuracy but can be a little uncomfortable for many. Personally, I was never a fan of chest straps. I can probably count the number of times they worked for me during a race where the strap didn’t fall down to my belly or waist and malfunctioned. It’s one of those devices that work ok when training daily but almost guaranteed to fail when racing. That’s the reason optical heart rate monitors started to pop up. You will find them these days in most fitness watches from Apple, Garmin, Polar, Suunto, etc. 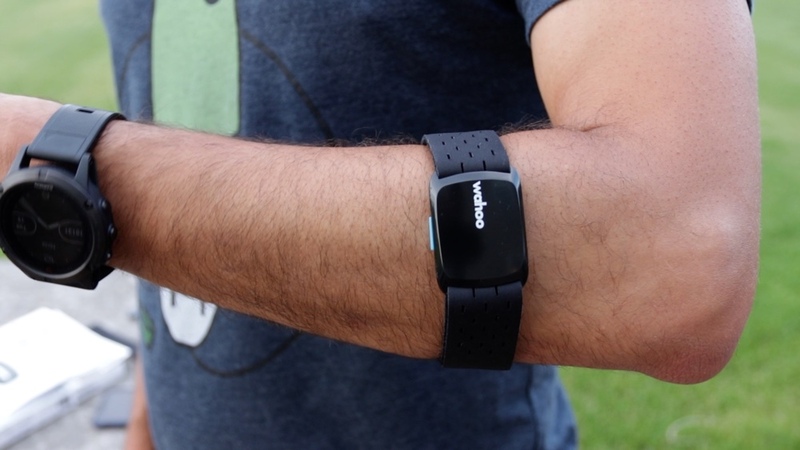 However, wrist-based optical heart rate sensors tend to lack accuracy. Using the same optical technology but moving it up few inches from the wrist to a beefier section that is your forearm proved to be successful for Scosche who was first to bring the armband heart rate monitor to the market with its Rhythm+. 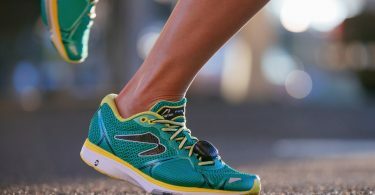 Later Polar entered the market with their own Polar OH1 and now we have the Wahoo TICKR Fit. A short, and a long velcro strap. Wahoo went with their own proprietary magnetic charger instead of using a mini USB type charging. Meaning, I can’t use the twenty different mini USB cords I have in my bag and have to carry one additional charger when traveling for an extended period. But since the TICKR Fit is waterproof, waterproofing a USB mini port can be a challenge. Fortunately, the TICKR Fit can go for 30-hours before having to recharge it. Before we look into the accuracy of this armband, let’s talk about comfort. Afterall, that’s the main reason you are probably reading this, other than the Bluetooth and ANT+ compatibility. Plus, it doesn’t really matter how accurate and reliable the TICKR Fit if it wasn’t comfortable or chafe inducing. The first thing you will notice is how light the TICKR Fit is. It comes with a long strap and a short strap. According to Wahoo’s instructions, the TICKR FIT works best on the upper forearm, just below the elbow on either the inside or outside of the arm. Adjust the strap until it is comfortable and snug enough to remain in place during exercise. 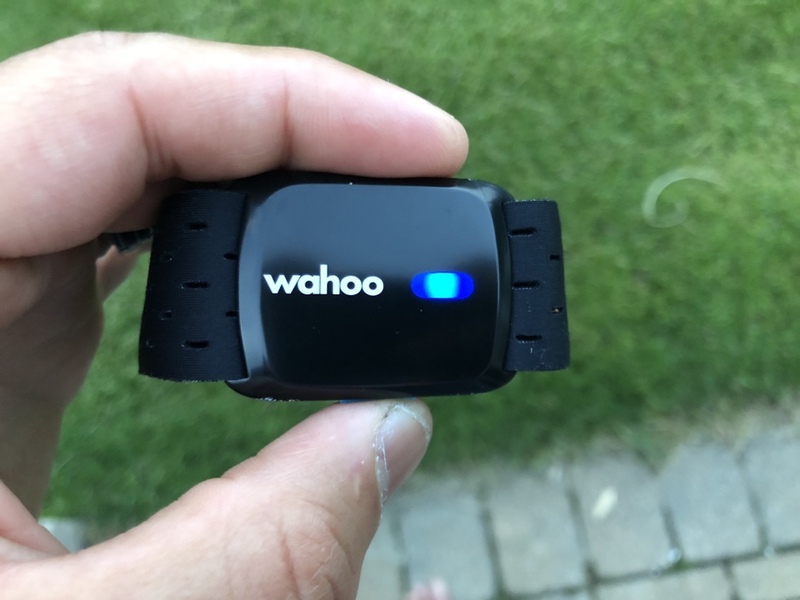 The unit itself is slim and light and I wore it in rain, on the road bike, tri bike, running in 100% humidity (yes, it does get that humid here). I found it to be comfortable, and you barely notice it. I didn’t experience any chafing or discomfort. However, the velcro strap feels weak. It never came off on its own during exercise but it’s easy to undo if you wear long sleeves or accidentally touch it. I have a feeling the lifespan of the straps will be short. Will see if it last longer than one year. Just like any other heart rate monitor, the TICKR Fit is just as easy to setup and use. The TICKR Fit has a small button on the side. After a long press, you will see it blinking for few seconds until pairing is successful. Once paired, the blinking will stop and you can just go on with your workout. When you are done, another long press will turn it off. LED flashes red for 2 seconds: low battery shut off – TICKR FIT will automatically power down when the battery is too low, flashing RED for 2 seconds, then powering off. If powered on below the 5% threshold, LED will flash red again for 2 seconds, then shut down. Without getting into all the details, I think all three performed decently well. Some were slower to respond than others as you will see in the charts below. You also want to take into account the recording of this data was done using three different devices. Except for the Fenix 5s watch, the Garmin HR Strap and TICKR Fit were sending data wirelessly. The TICKR via Bluetooth Smart and Garmin via ANT+. As you see in the chart below, all three were very close except for the Garmin Fenix 5s wrist-based optical HR monitor. My average heart rate for the full ride as recorded by Garmin HR chest strap and TICKR Fit was 123 bpm. Garmin Fenix 5s had me at 124 bpm. Zooming inside the higher intensity intervals, again, you see how the TICKR Fit and Garmin chest strap reported almost the same number. The Fenix 5s always few beats higher and a little slower to respond as you see below as I was getting out of the rest section. Here is a closer look at the two-minute rest interval. Here is another higher intensity workout that was done indoor on my smart trainer. Everything looked normal and my Garmin chest strap and TICKR Fit were almost exact except for a small second or two where the TICKR Fit took a quick detour. The overall average for the full workout was the same from both heart rate monitors: 126 bpm. Here is a closer look at both sections where the TICKR Fit wasn’t behaving well. In this section, it looks like there was a drop in the signal as you see both dropped almost at the same time but Garmin picked back up again a little faster. We are only talking about few seconds here. Here is another one where the TICKR Fit dropped few beats at the top of an interval. Not exactly sure what happened there. It did pick right back up and everything looked good from there on. Here is more data from a 70-minute run. The Garmin chest strap, as usual, took about 5-minutes to get a good connection. 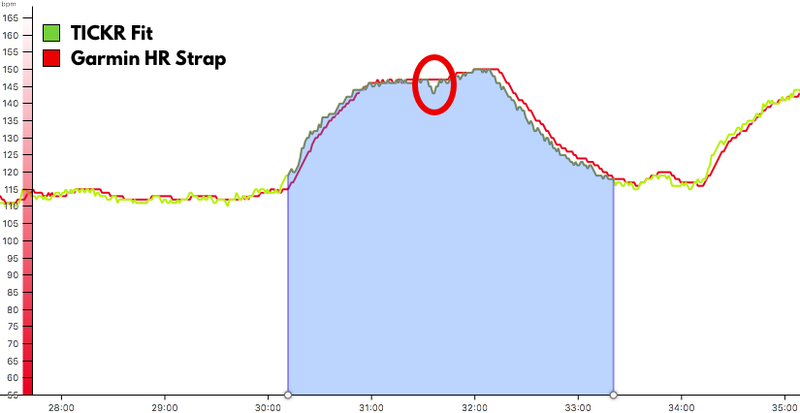 This is typical of chest strap heart rate monitors where the TICKR Fit was on immediately. Everything looked good, until about 50-minutes into the run, the TICKR Fit started spiking a little bit as you see in the below graph. Not sure what exactly happened but you are looking at about 4 beats different for a couple of seconds each. Could be transmission issue with my Garmin unit or some other interference. Overall, the full average for the run was off by only 1 beat per minute (TICKR Fit: 137, Garmin: 138) after removing the first 5 minutes from the calculation. Overall, I was pleased with how it performed and it’s now my go-to heart rate monitor. Heart rate isn’t something I usually train with or pay attention to but I like to see the data and monitor how my fitness changes over time. So one or two beats per second difference didn’t matter that much to me. 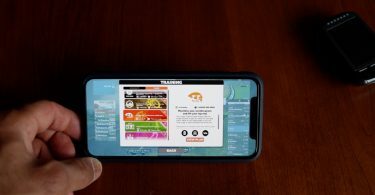 The main reason I looked into the TICKR Fit is Bluetooth Smart connectivity, comfort, and of course accuracy. It delivered on all fronts. It’s comfortable to wear, connects easily to other apps and devices, and has a long battery life. The TICKR Fit is also water resistance IPX7 and waterproof up to 5 feet. You can swim with it but don’t try to dive with it. It doesn’t record or transmit heart rate data when swimming. Would I recommend it? If you hate chest based heart rate straps and want a simple heart rate monitor, then sure get yourself one. I think you will be happy with it. But if you are looking for additional functionality such as onboard memory, on land and in water data recording, then you might want to take a look at the Schosche 24 for $20 more.